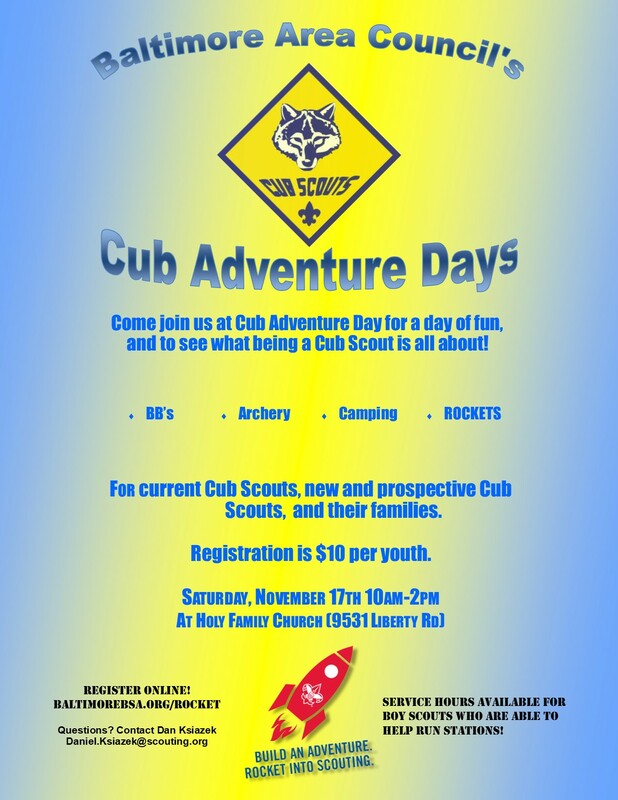 Welcomes all Scouts to a Wonderful Day of Scouting Fun!!! Why: What better way to start your Scouting year then to join other Scouting families, new and returning, for a afternoon of Scouting fun! PLUS for your new Scouting THIS is where you can launch your brand new Rockets!!! Cancellations must be requested by November 13, 2018. A 100% refund is not guaranteed.